If you’re a fan of the long running Pokemon anime, you may have heard of Rica Matsumoto, the Japanese voice actress for Ash Ketchum. Today, Matsumoto purchased a talking Pikachu plush doll manufactured by Takara Tomy. 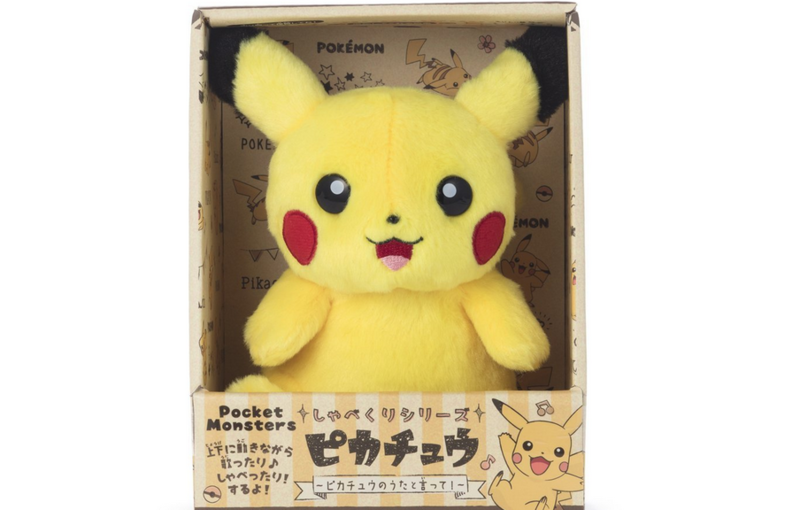 According to the manufacturer, the Pikachu doll reacts to whatever you tell it by speaking and moving its body. Matsumoto tried asking Pikachu to sing a song, and even said “I choose you!” in Japanese. Check it out right below.